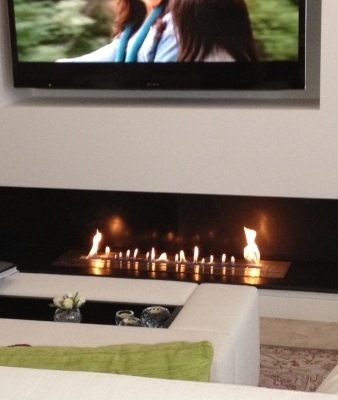 Simple and magical..you come back home, you press on remote control and flames appear in complete safety. There are still products which look like more mess tins filled with alcool, that in remote controlled electronic hearth fireplaces A-FIRE. These old products are dangerous. But the market tends to stabilize with the arrival of newremote controlled vent free inserts completely managed by the electronics. 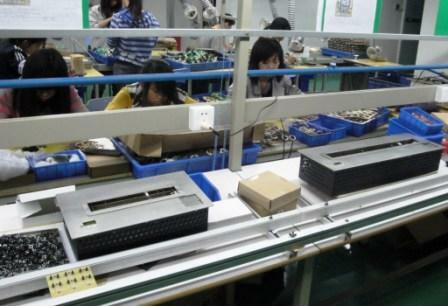 For your safety and comfort these elements are included in our products: remote control, security detectors, electronic automatic ignition, automatic blocking of tank door during operation, etc. Our devices are green and run on bioethanol. The advantage of vegetal alcohol is that the rejected carbonic gas was initially drawn from the air by the plant. The cycle is thus virtuous, our fuel is a complete renewable green energy. 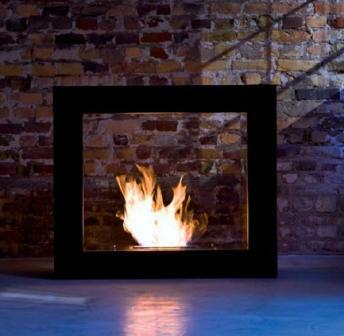 Dream of Designers for interior decoration: ourventless fireplaces have "minimalist" designs, modern and trendy shapes. "Rethink fire" with electronic ethanol burners to embed. The best way to insert a flame in your space. 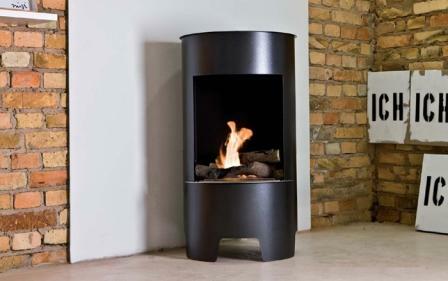 A-FIRE total freedom to create modular designs. 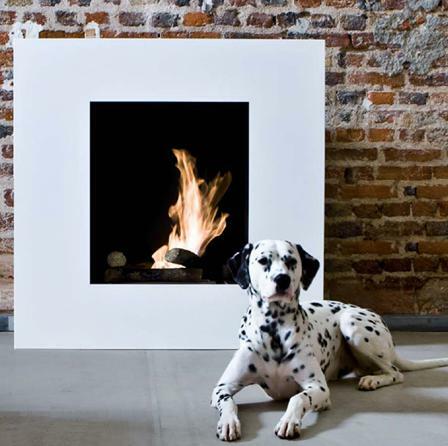 Your existing fire-place falls asleep in your living room. 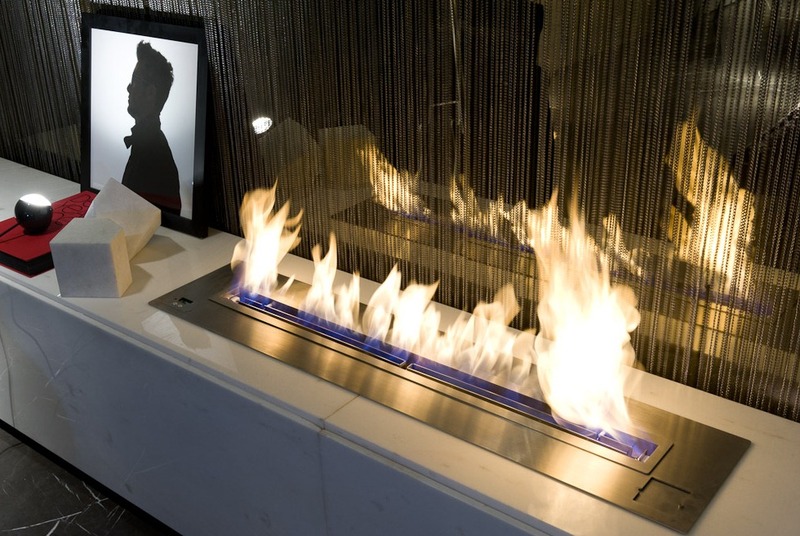 Relive it with our remote controlled hearth fireplace. Fill up the tank and press on remote control. Magnificent yellow-orange true flames will appear. For your security and comfort all the devices are electronically controlled and automatically stopped in case of malfunction. Creators, designers, interior decorators, architects, furniture or fire-points manufacturer, you have now the possibility of inventing your own "universe of the fire". The fire in your idea, where you want, as you want. 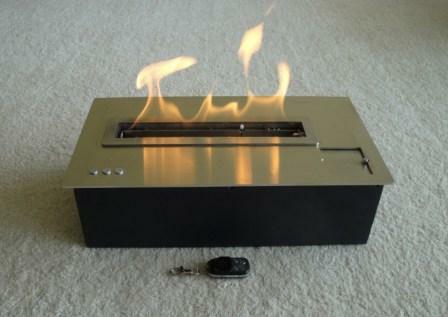 A secure and remote-controlled fire! 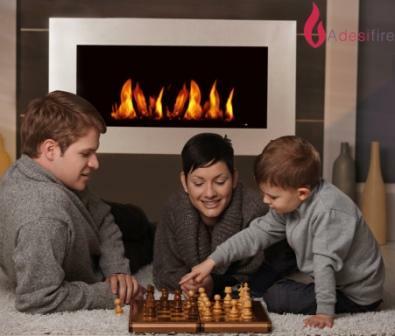 A-fire is an actual hearth fireplaces, stoves and ethanol burners manufacturer with a team dedicated to design, research & development, production, monitoring, quality control, etc. 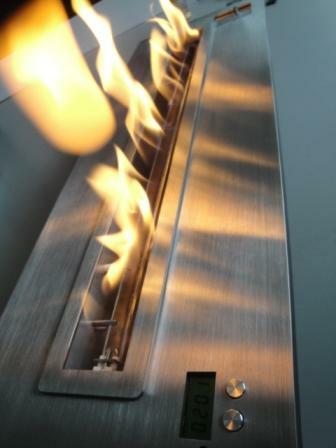 and for its distributors "A-FIRE" is able to create a custom range. 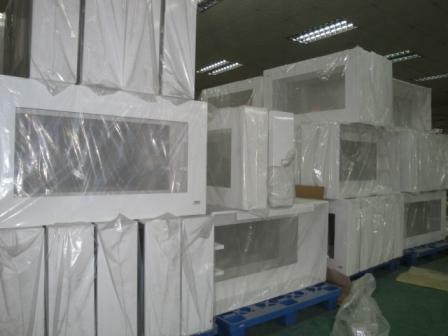 WE MANUFACTURE OUR PRODUCTS, we are not just a Trader. 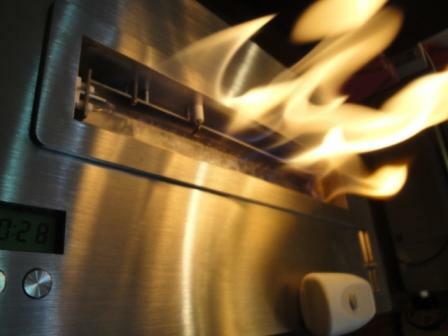 To create easily yourdirect-vent hearth A-FIRE offers two solutions. 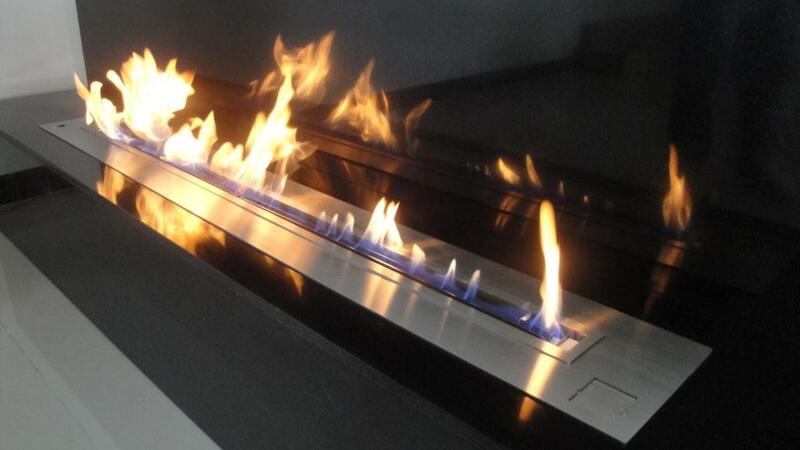 BX180 the largest compact burner of the world: 182 cm, 71,65 inches to create YOUR XL bespoke fire space !!! Now you can appreciate the beauty of flames with a complete serenity. 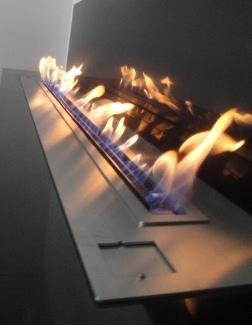 "A-FIRE": electronic and remote controlled ranges of bio fireplaces and inserts Safety and comfort of designs Fires electronically managed.The remote-controlled vent free hearths became a mature product without constraint which settles down so in town as in the countryside, in houses or apartments, at the tenants as at the owners. - Maximal safety of the user with the automatic ignition and security detectors which stop the device in case of malfunction. 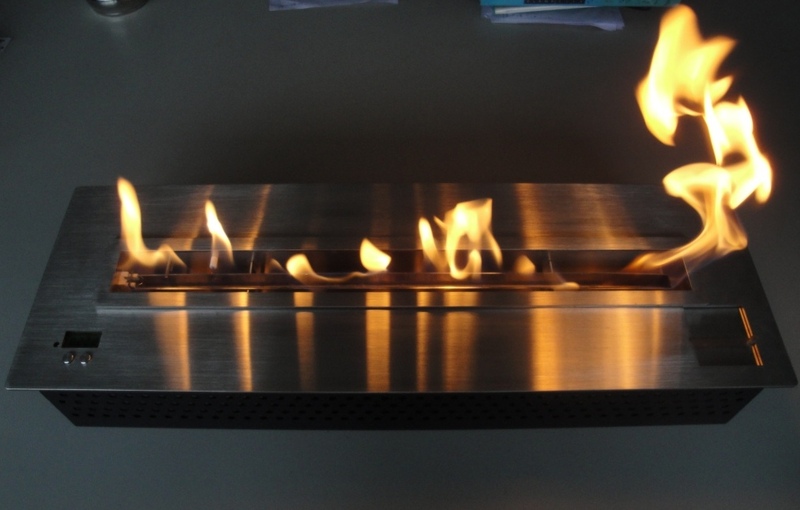 - Infinite possibilities of modular designs with the very wide range "vent free burners to be embeded " which allows the creators to realize THEIR bio fireplaces ,THEIR personalized fire space. Relaxation and conviviality, design and comfort, A-FIRE rethink the fire! To be closer to its customers A-fire is looking for partners to distribute it's products in the United States, UK, Canada, Great Britain, Ireland, Scotland, England, Australia, New Zealand, Sweden, Norway, Denmark, Holland, Germany, Poland, Switzerland, Austria, South Africa, Russia, China, Hong Kong, Africa, Marocco, Arabian countries, etc.